← Projection, “sillage,” longevity, and an explanation for why reviews for certain fragrances might vary considerably. Another “angle” on the “niche sampler” phenomenon? I got quite a bit of honey the first couple of wearings, and a bit of basil to offer contrast, then the third or fourth time I got more of the vanilla. Each time I enjoyed it, though the first half hour may strike some as slightly chaotic. I paid $15 for my first 99% full bottle (part of a 3 bottle lot for $45; each was worth at least $15, IMO), and I bought a back up for about $25, as I noticed the prices rising and I don’t have a honey-dominant scent that I really enjoy (months later, I acquired a partial bottle of Floris’ Honey Oud, which I also like – for me it’s different enough to possess both, though). For those who don’t know, CK doesn’t exactly have a good reputation in the online fragrance hobbyist community, and some have pointed out that this may mean fragrances like Gold tend to get ignored or given poor reviews, though if marketed under a different name those reviews might have been positive! I’ve seen a couple bottles of this come and go at Marshall’s and TJ’s locally. It sounds intriguing but at $45 it’s not a comfortable blind buy. I own Liquid Gold and I believe both are Middle East exclusives; they’re miles away from the usual freshie snoozefests like Euphoria Gold. As you see, he used it as an opportunity to dismiss Gold for Men as a “fresshie snoozefest.” I’m wondering what such a comment represents. Clearly, Gold is not like Chrome Azzaro, Nautica Voyage, etc. My guess is that such a person thought Gold should smell like something along the lines of “vintage” Ambra by Etro, with it’s dominant powerful and rich vanillic amber (perhaps with a touch of honey). Or he might have thought it was going to be like Ambre Sultan, with it’s herbal note offering contrast to the strong amber. However, if you like those scents, why are you seeking a slightly different version of it? Perhaps more importantly, why are you not wearing those scents and ignoring all that is released under the CK name (all made by Coty now, from what I understand)? It seems as though we are back to what I’ve called the niche sampler phenomenon in previous posts. That is, there seem to be a percentage of the “fragrance hobbyist community” who claim that at least several scents are “masterpieces,” but then they continue sampling, apparently rarely wearing their “masterpieces.” For such people, few new releases compare favorably to these scents, and so they write up one negative review after another, often talking about “cheapening,” “cutting corners,” “letting the accountants make the decisions,” etc. If you want a scent to smell heavily of natural items like honey and vanilla, why not go to the natural perfumers? Why are you seeking that in a CK scent? This strikes me as at least somewhat absurd. Sometimes a person will say that such a scent as Gold “lacks quality,” but again, it’s a relative issue, not an objective one, unless perhaps the only scents you’ve ever tried in the past are 100% natural. I seem to know what aroma chemicals bother me and which ones I can tolerate in larger amounts, so that’s a key issue for me. 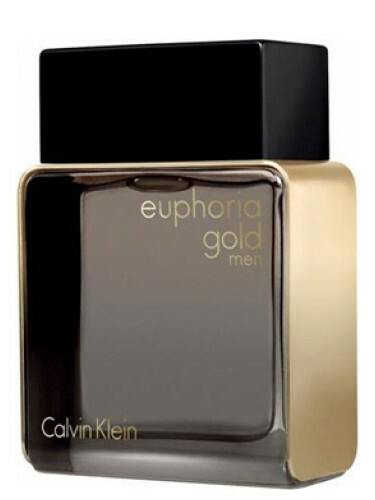 I also have yet to discover a vintage scent that is similar to Gold, and doubt there is one. Moreover, even some recent releases that smell “high quality” and “totally natural” to me, such as 2012’s “Enchanted Forest: The Vagabond Price,” are a bit too much for me! I’ve notice this with other niche type fragrances, and in some cases I actually prefer the inexpensive “clone” because these are often less “in your face,” regardless of whether the strong notes are synthetic or natural (meaning the balance is superior). If you disagree, that’s fine, of course, but if you just dismiss fragrances without explaining exactly why, you aren’t helping to advance your point of view. NOTE: Obviously, some of us don’t want (or can’t) to spend “niche money” on fragrances, especially if one only wears the scent once a month or more (as is the case for me). Halston’s Amber Woman is in the same general area as Enchanted Forest, to my way of perceiving, and a 100 ml new bottle cost me $12 total, as opposed to the high prices EF has always commanded. Armaf’s Club de Nuit Intetnse (the one marketed to women) is yet another similar scent, which cost me around $18/100 ml, but that one has been too strong for me at times. Some might say EF is clearly “higher quality,” but I mostly assess fragrances in terms of how enjoyable they are to me over a course of several hours, and I’ve found that the perception of “naturalness”/richness may be impressive at first, but after an hour or so that element if of much less important, due to the scent weakening. If the scent does not weak, I’ve found many become cloying to me, including the expensive, “natural,” rich niche scents. By contrast, this does not seem to happen with fragrances that I enjoy that were released in the early 1990s or earlier – those great perfumers apparently knew how to get the balance right (or else they were given more time to “perfect” the composition). Filed under Criticizing the critics.